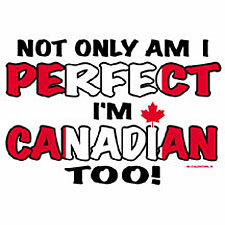 This Not only am I perfect, I'm Canadian too shirt is a great item! Great Canadian t-shirt for little ones or those wanting to show off their Canadian pride. Shirt is a white 100% heavyweight cotton T-shirt. 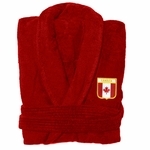 Remember� you found the Perfect & Canadian Too at TShirtHub.com, where high quality came at a low price.